Today is Valentine's Day. A day to remind that special someone in your life how much they mean to you. Show him or her your love today not just with flowers and candy, but also perhaps with a special brew that pairs well with delicious treats. Say "Beer Mine Valentine". Here's what's happening around the Colorado beerosphere today Tuesday, February 14th, 2012. If you have some Colorado brewery news items you'd like included in the daily Colorado Beer News post please contact me today. This daily Colorado Beer News page is constantly updated during the day (10am to 3pm) with new stories so stop back here often for all the latest. If you'd like to subscribe to this daily by email, sign-up here. Crazy Mountain Brewery (Edwards) - Head up to the mountains this weekend for a special Mardi Gras Weekend Kick Off Party at Crazy Mountain at 7pm on February 17th. There will be plenty of beer and live music featuring SnowBlind - an 80's and 90's rock experience. $2.00 pints during the show! Stay tuned also for March 30th when they will host a Homebrew Pro-Am Winner Party. Get $2 pints of the winning beer and listen to live music by SnowBlind. Grimm Brothers Brewhouse (Loveland) - Grimm Brothers Brewhouse is excited to announce their release of The Count - a Russian Imperial Stout aged in Buffalo Trace Bourbon barrels for one year. Available in limited quantities its first public release will be in their taproom February 18th at 3pm. The Count is yet another in their Fabled series. In the Fabled series they have taken their year round beers and made an Imperial version based on the antagonist of each beers corresponding story. This beer will be available only in 22oz bottles. Storm Peak Brewing Company (Denver) - There's another new brewery on the way to Colorado that is going by the name Storm Peak Brewing Company. This brewery has yet to stake out a final location. The owners said, "Right now we are entertaining a few locations, most around the front range or possibly in Steamboat!" - You can follow their progress on their Facebook page, or via their Twitter page @StormPeakBeer. 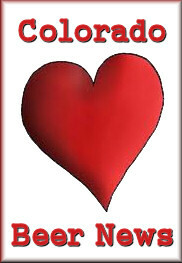 Choice City Butcher & Deli (Fort Collins) asks "Did you forget its Valentines day?" - They will have spots available for the 5pm seating for their wine vs beer veal osso bucco dinner tonight. Call (970) 490-2489 for reservations. Located at: 104 W. Olive in Fort Collins. Jagged Mountain Craft Brewery (Denver) - According to RJ Banat (co-owner), they are currently in the stage of seeking investors. Right now, they are targeting an open date around 1/1/2013. Location wise, they have narrowed down their focus to a couple areas in metro-Denver, but nothing definitive just yet. They will be a taproom, plan on brewing off a 10BBL system, and will feature a selection of traditional ales as well as several super-premium beers. Their brewer - who is also one of the owners - is known for his big beers (he has won half a dozen GABF and WBC medals), and they will be turning him loose to brew some unique beers. Gravity Brewing (Louisville) and Twelve Degree Brewing (Louisville) and one yet to be named brewery from a former Oskar Blues brewmaster Brian Lutz are all coming to the old mining town of Louisville sometime within the next year. The Boulder Daily Camera did a story about these breweries showing a map of their proposed locations. All three of these breweries will be within walking distance of each other. Two of these breweries plan to be open by late spring or summer this year. New Belgium (Fort Collins) - This news via the Beer Street Journal yesterday - New Belgium's social media fans spend on average $260 on their brand. This equals roughly $50.7 million annually, or about half the brewery's sales each year. New Belgium plan on spending around $1 million for their upcoming launch of their Shift Pale Lager for their April launch and about 20% of that on social media. Grand Lake Brewing (Grand Lake) - Tonight from 5pm to 9pm, Grand Lake Brewing will be hosting a Valentine's Day Dinner featuring an appetizer, a choice of several entrees and 3 desserts. A glass of house wine or a pint of their own beer is included in the $27.95 per person charge. Yak & Yeti (Arvada) - The Yak and Yeti is re-releasing the Sherpa Prima (barrel-aged robust porter) Wednesday Feb 15th at 4PM. Read more about the beer and the initial release here. Also, coming up February 24th at 4pm, they'll be tapping (Yakety Yak) Don't Talk Bock complete with a blessing of the bock ceremony at 5pm with an ordained minister. American Craft Beer Radio (FM 102.3 ESPN Denver) - This Saturday at noon on American Craft Beer Radio their in-studio guests will include Bridgett Geiger from Lone Tree Brewing, and Jess Steinitz from Avery's "Sisterhood of the Hop". Joining them via the phone will be Deb Carey, Founder and Owner of New Glarus Brewing in Wisconsin. In the 2nd 1/2 hour they will be joined via phone by Denise Jones, Head Brewer for Moylan's in Novato, CA. Host Gary V plans to do these "women in Beer" shows at least every 4-6 weeks. Oskar Blues (Longmont) - Fat Tuesday is quickly approaching (Feb. 21st) and Oskar Blues will be throwing some parties to celebrate. There will be live music at Home Made Liquids & Solids by Jockamo and at the OB Grill & Brew in Lyons by Zydacoasters from 7pm to 10pm. The parties with Hurricanes, Jambalaya, Gumbo, Beads, Balloons and Face Painting will begin at 5pm at both locations. Great Storm Brewing (Colorado Springs) - Yesterday on their Facebook page, Great Storm Brewing stated that they've passed all of their inspections and are going to start brewing this week. Check their website to see what they plan on producing: www.greatstormbrewing.com - hopefully this means they will be able to open within the next few weeks. Highland Tap (Denver) - For those of you eagerly awaiting the canned release of Oskar Blues Deviant Dale's IPA in 16oz cans, Highland Tap will be throwing a Deviant Dale's Launch Party this Thursday night at 6:00pm. It weighs in at 8% ABV and 85 IBUs. Don't wait for cans - get some now. Hops & Berries (Fort Collins) - A reminder that tomorrow, February 15th at 6pm, Wyeast's Owen Lingley will be at Hops & Berries to give a class to their customers o yeast management. Mark the date and bring your questions. Free class. Located at: 125 Remington in FoCo. Twisted Pine Brewing (Boulder) - Looking for a special beer for this Valentine's Day - stop by the brewery and try one of these treats: Chocolate Stout, Razzy Xpress or the Raspberry & Coffee Truffle Stout. Bring your sweetheart with you! Euclid Hall (Denver) is serving up some very special Brew Bites today that feature chocolate, fruit, and infused beers. There is something so refreshing and sinful about a nice tart apple. Lindeman's pomme lambic is a stimulating golden lambic with bready malts and a nice tart finish. They are featuring Boulevard Brewing's chocolate ale, a collaboration brew with master chocolatier Christopher Elbow brewed with Dominican cocoa. This is a staff favorite from 2011 and a brew that you don't want to miss. Lastly, Boulevard Brewing has a very special triple that is not available for sale, but they have some for tasting. You’ll have to stop by to find out more! Great Divide Brewing Co (Denver) - Tonight! Beer and Chocolate pairing at their local oasis Star Bar. Starts at 6pm, $25 a person. 7 paired flights (including one with their Oak Aged Yeti) and a special mystery pairing to cap it off! Also, at the brewery tonight - Chef Driven will be parked outside for your dinner needs. Pateros Creek Brewing (Fort Collins) - How's this for a Valentine's Day gift? A growler filled with your favorite PCBC beer for just $5. It's a $5 Growler Day! Funkwerks - Happy Valentine’s Day Funkwerks fans!! Stop by the taproom today for $1 off full glasses of Roselle - their hibiscus saison brewed especially for today! If you’d prefer to bring the romance home, pick up a 750ml bottle and two specialty glasses with heart-etched nucleation points for $20 ($1 of which goes to the Nation Breast Cancer Foundation). Check out what's happening on the 2012 Colorado Beer Festivals and Events Calendar. Like what you see here? There's even more Colorado beer happenings on the Fermentedly Challenged Facebook page. Thanks for helping us grow to over 675+ "Likes" so far in 2012!